With the sun shining this week we thought it would be the perfect time to offer you a special deal on our Summer Shades. 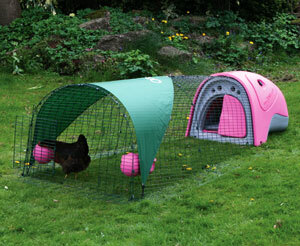 Use on your Eglu Classic, Go or Cube to give your chickens a nice shady spot to relax in during the warmer months. This week only get 20% off Eglu Summer Shades! Get 20% off all Eglu Summer Shades!